VILLOSA LILAC (LATE LILAC) - a medium to large, dense, non-suckering, upright shrub native to northern China and Mongolia. 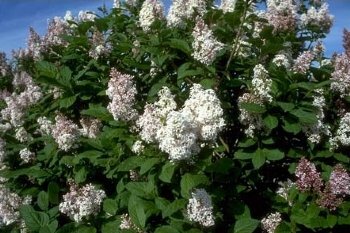 Flowers are pink and villosa lilac blooms about 2 weeks later than common lilac. It may reach a height of 12 feet on favorable sites.